A petition has been launched calling on nominees not to take the free trip to Israel, echoing demands by the Palestinian arts community. The Palestinian Performing Arts Network denounced the hypocrisy by saying Israel deliberately attacks Palestinian art and cultural production. Oscar nominees Mark Rylance and Asif Kapadia have already promised not to visit Israel professionally as long as the human rights violations persist. Five-time Oscar nominee Mike Leigh, Director Ken Loach and musician Brian Eno have publicly denounced the Israeli government’s propaganda initiative. 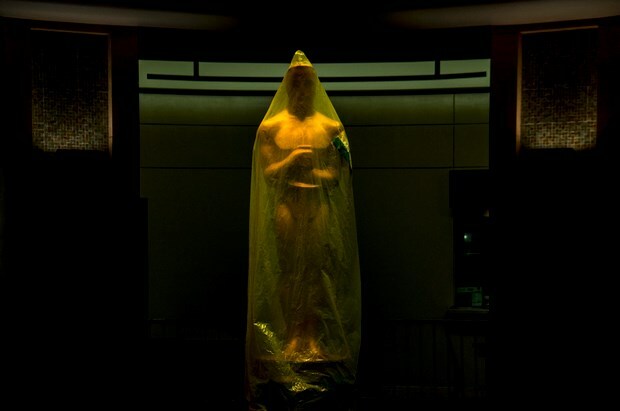 Already mired in controversy over the lack of non-white nominees for this year’s ceremony, the Oscars goody-bag is now being used to whitewash Israeli apartheid. 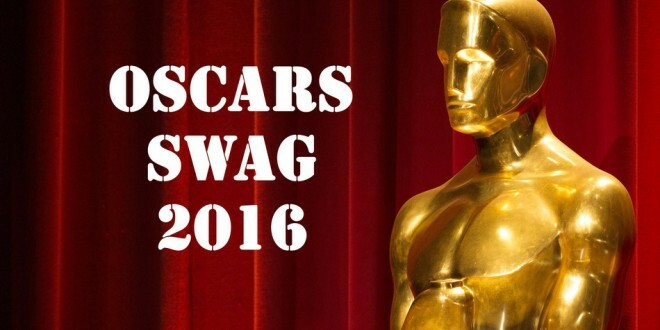 The so-called ‘swag bag’, put together by Los Angeles firm Distinctive Assets, includes a $55,000 worth five-star Israeli government funded luxury trip to Israel for every nominee in the main acting and directing categories. Any Oscar nominee taking up the offer will find themselves working as an unpaid stooge in an extended 10-day photo opportunity on behalf of a government that breaks international law, violates human rights and has been credibly accused of war crimes. Oscar nominees Mark Rylance and Asif Kapadia have already promised not to visit Israel professionally. Their pledge, along with those of a thousand UK artists and performers, was launched in February 2015. Rather than whitewash Israel’s systematic oppression of Palestinians, Artists for Palestine UK (APUK) is appealing to the stars and directors on the Academy Awards shortlist to donate Israel’s holiday vouchers to Palestinian refugees, who are denied the right to return to their country. More than 750,000 Palestinians were systematically ethnically cleansed and made refugees during the establishment of the State of Israel in 1948. Israel has denied their UN-stipulated right to return to their homes of origin for nearly seven decades. The Palestinian Academic and Cultural Boycott of Israel (PACBI), The Palestinian Performing Arts Network (PPAN), organisations and individuals that represent the majority of the Palestinian cultural sector, has called on Oscar nominees to reject the trip sponsored by the Israeli government included in this year’s Academy gift bag. PPAN’s members include The Edward Said National Conservatory of Music, Ramallah and Gaza, and The Freedom Theatre, Jenin refugee camp. US President Barack Obama reportedly has intentions to sign a trade agreement which includes provisions that fail to differentiate between Israel and illegal settlements in the occupied Palestinian territories, as well as discourage the boycott of Israeli goods. The US government opposes the boycott, divestment, and sanctions (BDS) movement against Israel, and, while US law requires that products made in illegal Israeli settlements may not be labeled “Made in Israel”, the law is rarely enforced. Israel has been struggling to tackle a Palestinian-led international boycott campaign which has, in fact, had a number of critical high-profile successes. As would be expected, BDS initiatives have also faced major pushback, both in the United States and abroad. In a landmark case which fetidly smacks of First Amendment adulterations, the Illinois State House of Representatives unanimously passed, in May of 2015, a bill which will prevent the state's pension funds from investing in companies that boycott Israel, while UK activists are also now facing staunch state resistance to pro-Palestinian related endeavors. A French court ruled, in October, that a group of activists advocating the BDS movement were guilty of violating French hate speech legislation. Israeli military intelligence now monitors all BDS groups and activities all over the world, according to Haaretz, as Tel Aviv consistently aims at regaining support and encouraging investments, with a focus on colleges and universities that voted for divestment. In August of 2013, the office of Israeli Prime Minister Benjamin Netanyahu said, according to AP, that the government would be granting scholarships to certain students who actively participate in activities promoting Israel, and improving its image, especially on social media outlets like Facebook and Twitter. Each of those “chief coordinators'” recruits three “desk coordinators” tasked with “language, graphics and research," and receive lesser scholarships while some active pro-Israel students get “minimal scholarships”. Thus, the war on independent media by “security agencies” and corporations continues. In a breaking news article, the IMEMC recently helped to expose a hasbara group which published, on their Facebook page, a video that had apparently been edited in order to convince viewers to believe that a crutch belonging to disabled man who was being violently thrown from his wheelchair by an Israeli soldier was, in fact, a loaded weapon. As stated in the article, Israeli news outlet +972 defines "hasbara" as a form of propaganda aimed at an international audience, primarily, but not exclusively, in western countries. It is meant to influence the conversation in a way that positively portrays Israeli political moves and policies, including actions undertaken by Israel in the past. Hasbara efforts have historically either included or been fully based on a negative portrayal of Arabs and, especially, of Palestinians. In the video below, a retired Israeli paramilitant describes how he and his cohorts were employed, in 1947, by the Israeli military to bomb -- disguised as Arabs -- the King David hotel in Jerusalem, when Israeli independence (from Britain) was first being established. More recently, during the 2014 summerlong Israeli assault on the Gaza Strip, a military spokesperson released an image, on Twitter, which showed an aerial picture of a building marked as 'Al-Wafa' hospital. In the image there is a red circle, which they designated as the location from which a M75 rocket was launched. Clearly, the role of propaganda in the media has taken on shamefully sinister proportions, over time, the impact of which needs no further explanation. However, where the Israeli military is concerned with distributing propaganda to the public, shame is virtually non-existent. Certainly, one of the most horrific of events which recently occurred in Gaza was the shelling of a group of Palestinian civilians who had sought refuge in a UN school in Beit Hanoun on July 24th, 2014. This is the tactic used by the Israeli military on every similar occasion, in which a high-profile attack on civilians actually reached international media channels. But, the international media apparently have pretty short memories, as every single time they just repeat the Israeli line, almost verbatim – even though, in virtually every single case, the initial Israeli pointing of fingers ultimately turns out to be completely false. Recent Israeli air strikes have targeted locations in Gaza which are allegedly used for training by Hamas’ military wing, the al-Qassam Brigades, causing material damages to nearby homes. Although much of the rocket fire has been claimed by small militant groups operating in Gaza, the Israeli army has consistently held Hamas responsible. In truth, the majority of the long-range weapons employed by Palestinian resistance, including the default rockets made by Hamas, are typically crude shells constructed of little more than tubes with dynamite placed inside. They are devoid of guidance systems, fired blindly, and without any possibility of aiming them. Injuries and damages are seldom reported, let alone in contrast with the devastation incurred by Israeli air and ground assaults. Furthermore, this Monday past, a senior Israel official alleged that Hamas had been providing medical treatment to Islamic State-affiliated fighters from Egypt's Sinai Peninsula, in claims which Hamas rejected as "baseless." Whether the claims are true or not, Israel has quite shamelessly and admittedly been providing aid to ISIL and other forces attempting to overthrow Syrian President Bashar Assad. The quietude within the mainstream media circuit, in relation to the abject state of moral deviance within the Israeli military has yet to be fully broken, But, the egg is beginning to hatch. In stark contrast with popular perception, a 2014 report by the Middle East Monitor revealed the Israeli army detains nearly 22,000 deserters and "undisciplined soldiers" annually, while a recent BESA poll has showed that 53% of Israeli citizens agree on evacuating Israeli settlements in the occupied West Bank. In response to enlistment papers delivered, earlier in the year, to Palestinian Christian youth who retain citizenship with Israel (in order to encourage them to volunteer for military service), church leaders called upon the youth to tear the papers up and "throw them away" and not to engage with the military in any way. The church leaders also stressed a firm national position of Christians in refusal to join a military which exercises violence against the rights of the Palestinian people. On June 9th, 2013, an estimated 100,000 Hasidim blocked Broadway, from Canal street all the way down town, in a similar protest. For further info, see and hear former Israeli soldier Miko Peled speak on the topic of military occupation and his experience as the son of a general in the Israeli army..
Barghouthi added that this also indicates the amount of losses which have hit Israel, as a result of the campaign, as economists approximated the losses at $31 billion. Over 170 Palestinians have been killed since October, many of them children. On February 14th alone, Israeli forces shot dead 5 Palestinians, including 3 children, and critically wounded a 14-year-old girl in al-Khalil (Hebron). Reports of Palestinian knife attacks continue to pour out of Israel and the occupied territories. Rights groups question the legitimacy of many of these reports, while efforts by the international community to quell recent violence and return Israeli and Palestinian leadership to negotiations have, so far, failed. See, in the video, as an Israeli soldier is clearly seen (1:30) to toss a knife at a young Palestinian woman, demanding that she retrieve it from the ground, thus forcing her to visibly take on the role of a terrorism suspect. Israeli occupation forces have increased their abuse of power by carrying out a rampant series of extrajudicial killings of Palestinians, in a manner that is completely unjustified and, in most cases, constituting crimes of war. Israeli politicians are now fueling the motivation to kill Palestinians by making open statements which encourage Israeli citizens themselves to become executioners. And, the mechanism of media-driven incitement which ensures the implementation of unjust policies by the state, via its constituencies, and with blatant regard to the more undesirable sectors those constituencies, is much more than a veritable revolving door. It is a meat grinder of a patently cannibalistic nature, by which the "consumer" has found his or herself not simply "at the table", but on the menu itself. 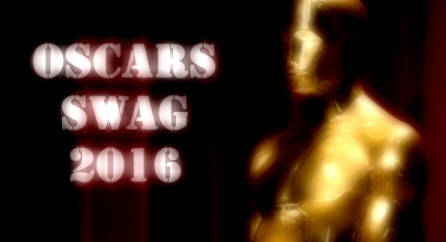 Only some of the stars nominated for this year’s Academy Awards will go home with the golden Oscar trophy. But all of the nominees, winners or losers, will get consolation gift bags worth $200,000 according to a report by the Daily Beast. Among the overpriced frivolous gifts that these stars will receive are skin creams, Audi car rentals, fitness training, cosmetic surgery procedures and a 10-day first class trip to Israel, worth $55,000, care of the Israeli government. There are a few stories within this story. 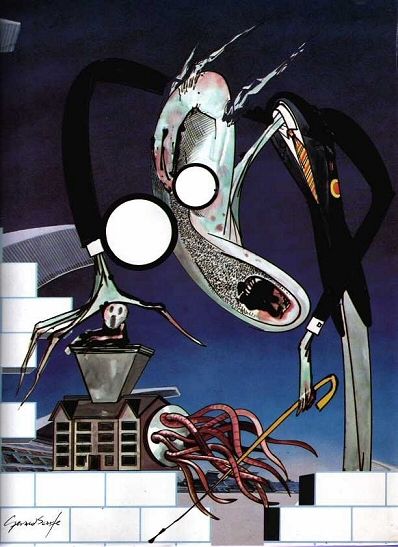 We could talk about the grotesque excesses in the lives of the rich and famous in times of growing global inequality. We could mention the sickening societal obsession with unreachable beauty norms that can only be achieved through buying more fitness and beauty products, including costly surgery. But what is a trip to Israel doing in that package? This wouldn’t be the first time that stars are offered highly subsidised or complimentary trips to Israel. By now it’s such a convention that the Israeli Ministry of Tourism has a page on its official website dedicated to celebrity visits. But make no mistake, this is not simply the work of ambitious tourism promoters. This is Brand Israel, an Israeli diplomatic strategy which involves courting stars and showering them with free trips, products and propaganda to immunise them against the allure of speaking out in public against Israeli violations of Palestinian rights. Brand Israel was launched in 2006 with the goal of crafting a new story about Israel internationally; less about violence and military occupation, more about science, technology, fun and sun. The Israeli government has poured millions of dollars into this pursuit, inviting Hollywood stars, government and business leaders and even religious and cultural minority representatives to take specially tailored trips to see the amazing things that the state of Israel is accomplishing, always with a press conference and photo opportunity with Israeli government officials. What do they not see on these lavish all-expense-paid trips? -- the bombed out neighbourhoods in the Gaza Strip where children gather scrap metal to replace construction materials that Israel bans, trying to scrape together a living for their destitute families. These celebrity tourists are also shielded from seeing the Palestinian popular resistance against oppression, manifesting in protests against the apartheid wall, against land confiscation and home demolitions in the unrecognised villages of the Naqab. They don’t meet the Israeli young people who face jail time for refusing to serve in the occupation army. These stories are inspiring and move people to action around the world; it’s no wonder the Israeli government wants to repress them. It is no coincidence that this new branding strategy was launched around the same time as over 170 Palestinian civil society organisations called on people around the world to act in solidarity with Palestinians struggling for justice, and to conduct campaigns of boycott, divestment and sanctions (BDS) to expose and end government and corporate complicity in Israel’s apartheid regime. The BDS movement exposes the real brutality of Israeli colonialism, the same scenes that Brand Israel is designed to conceal. The South African apartheid regime used nearly identical tactics at the height of international opposition to it. Many artists and musicians have refused to be co-opted by the Israeli government to whitewash the brutal reality of Israeli apartheid. Roger Waters, Brian Eno, Lauryn Hill and over 1,000 British artists have pledged not to entertain Israeli apartheid. Only a few months ago, hundreds of British scholars publicised their own pledge committing to the same principled stance. This isn’t simply a case of artists and academics not wanting to get their hands dirty with the crimes of the Israeli state. It is a push back against Israel’s systematic attempts to repress the reality of apartheid. That reality can only be hidden if everyone agrees not to talk about it, to look the other way. And Israel invests heavily in getting this to happen. But it simply won’t work. Oscar nominees are receiving free trips to Israel because now more than ever, the state of Israel is feeling the pressure from the ever-growing BDS movement, which aims to put an end to international complicity in Israel’s denial of Palestinian rights. No matter who goes home with a statue at the end of the awards ceremony, the growing success of the BDS movement shows that the real winners will be the Palestinians struggling for freedom, and all who stand with them for justice. - Ryvka Barnard is senior campaigns officer on militarism and security at War on Want. The article was published in the Middle East Eye website. 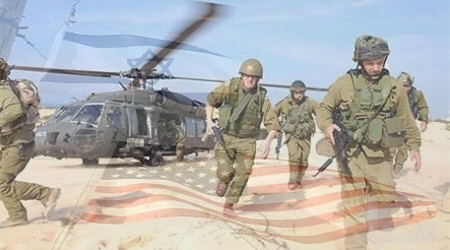 Israel and the US are to hold a joint military exercise, later in February, with the focus on training in ballistic missile warfare, the Israeli military says. The latest batch of controversial emails released by the US State Department shows that Hillary Clinton may have been seeking to encourage an anti-Israel atmosphere, and generate Palestinian protests, in order to force Israel to the negotiating table. Based on emails released from Clinton's private email server, the Washington Free Beacon reported on Monday that four years ago, on December 18, 2011, former US ambassador to Israel Thomas Pickering, sent Clinton an email suggesting that she should consider a plan to restart the then-stalled peace negotiations by instigating Palestinian demonstrations against Israel. According to the PNN, Pickering described, in the emails, the effort as a potential "game changer" in the region, recommending that the United States undertake a clandestine campaign to generate unrest. “This is far from a sure thing, but far, in my humble view, from hopeless,” Pickering wrote. According to the Free Beacon report, Pickering noted that the administration must keep its role in the demonstration a secret, so as not to irritate ties with Israel. “Most of all, the United States, in my view, cannot be seen to have stimulated, encouraged or be the power behind it, for reasons you will understand better than anyone,” he wrote. Another Clinton confidant, Anne-Marie Slaughter, who served as Clinton’s director of policy planning at Foggy Bottom from 2009 until 2011, sent a staff-wide email to Clinton staffers in September of 2010, recommending that they undertake a “Pledge for Palestine” campaign, with the aim to convince US millionaires and billionaires to donate significant portions of their wealth to the Palestinian cause. Clinton’s responses to these ideas were not recorded in the emails.